Map of relatively large and not very complicated, but in my opinion is interesting. 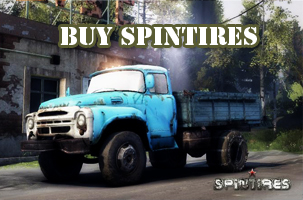 Of cars on the map default except for the second MAZ, ie: UAZ, KrAZ, URAL, KAMAZ, ZIL and MAZ. Map has one gas station, garage, six sawmills, one with a conventional felling boot and one with manual loading of logs.